Did Trudeau’s non-apology on SNC-Lavalin make his plight better, or worse? Prime Minister Justin Trudeau expressed regret Thursday over how he and his team have handled the SNC-Lavalin affair — a scandal that has stretched on for a month, claiming two top cabinet ministers and Trudeau’s most senior staffer. But he didn’t say the words many were expecting to hear: “I’m sorry.” And that’s led to widespread speculation about how (or if) the prime minister can put this business behind him before the 2019 election campaign ramps up. When asked directly yesterday whether he planned to apologize outright, Trudeau ducked the question, saying instead he should have been personally aware of an “erosion of trust” between Gerald Butts, his former principal secretary, and Jody Wilson-Raybould, the former attorney general. “I will continue to take many lessons from these recent days and weeks,” Trudeau said. 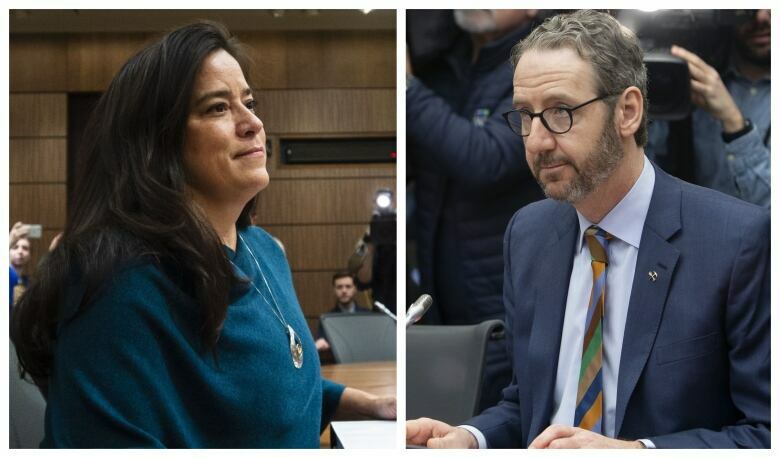 The prime minister insisted again that he, Butts and Clerk of the Privy Council Michael Wernick — and the many staffers on the file — applied no sort of “inappropriate” pressure on Wilson-Raybould to reconsider a deferred prosecution agreement for SNC-Lavalin. He said he should have checked in with the former justice minister personally on a file that mattered so much to many families in his Papineau riding. It really was about the prospect of job losses, he said, and there was no breakdown in the rule of law. Trudeau promised to review the actual role of the attorney general and whether it should be split off from the role of justice minister. “Ultimately, I believe our government will be stronger for having wrestled with these issues,” Trudeau said. Trudeau’s critics ripped him Thursday for what they saw as a weak response to a serious issue. NDP Leader Jagmeet Singh said Trudeau should have gone much further than he did, arguing that Wilson-Raybould’s compelling and believable testimony before the Commons justice committee — about a concerted political effort to get her to reverse a decision she believed was “final” — demanded nothing less than a public mea culpa. “Canadians had hoped Justin Trudeau would have apologized for the way Ms. Wilson-Raybould was treated and maybe apologize for the pressure that was improperly placed on her. We didn’t see an apology. We didn’t see maybe an admission of fault. We saw a sidestep — collateral comments that didn’t really get to the heart of the matter,” Singh said. Conservative Leader Andrew Scheer said Trudeau should have offered more after he “bullied” Wilson-Raybould to sign a DPA with SNC-Lavalin. “The truth can’t be experienced differently,” Scheer said. Trudeau has denied any wrongdoing, saying he personally met with Wilson-Raybould about the matter only once, on Sept. 17, 2018, and that the Liberal government simply wanted a thorough review of all the options, and outside legal advice, before the attorney general closed the case. A source with direct knowledge of the situation, speaking to CBC’s Katie Simpson on condition of anonymity, said Thursday the prime minister didn’t apologize because he feels “in his core” that he did nothing wrong. “The prime minister is not going to say something he doesn’t believe in, and he doesn’t believe he’s done anything wrong,” the source said. The Prime Minister’s Office maintains all involved were genuinely concerned by Wilson-Raybould’s quick decision to not pursue a DPA — an arrangement like a plea bargain that would allow the company to avoid a criminal trial on bribery charges — fearing a guilty verdict for the firm could lead to financial ruin and massive job losses. Greg MacEachern, vice-president of government relations at Proof Strategies and a long-time Liberal strategist, said the prime minister has to consider what message an apology would send to caucus members who feel he really has nothing to apologize for — and who may be worried about the political consequences of Wilson-Raybould’s statements. Some Liberal insiders are deeply angry with the former attorney general, fearing her insistence on branding these lobbying efforts as inappropriate could torpedo their electoral fortunes. “When you’ve lost two cabinet ministers, you want to take stock and make sure your team is all onboard. And that’s what he’s been doing the last couple of days,” MacEachern said, adding the prime minister has been making calls to caucus members over the last few days as part of a “gut check” on the affair. MacEachern said Trudeau’s concession that some things should have been done better in the Prime Minister’s Office was sufficient. “If your opponents are demanding you do something, you really want to stop and take those calls with a grain of salt. After all, if it was up to Andrew Scheer, Justin Trudeau wouldn’t have to apologize for anything because he would’ve already resigned last week,” MacEachern said, citing Scheer’s call for Trudeau’s resignation immediately after Wilson-Raybould’s committee appearance last week. Jennifer Stewart, a crisis communications expert with Syntax Strategic, said she thinks Trudeau may have made his situation worse by missing an opportunity to apologize to Canadians and put the issue to rest once and for all. “Simply saying this was an erosion of truth … won’t hold water with Canadians. The issue is much bigger than that. From my perspective, that portion of his presser was tone-deaf. To try and diminish this as simply as an erosion of trust won’t work well,” Stewart said. There could be another reason informing Trudeau’s decision to stop short of “I’m sorry.” An apology from the PM before the dust settles on any investigations could have legal implications. While the justice committee is still pursuing its study, with opposition MPs angling to bring Wilson-Raybould back to testify again, there’s at least one parallel probe underway. The federal ethics commissioner, Mario Dion, has self-initiated an investigation of alleged breaches of the federal ethics code by the prime minister personally. Scheer, meanwhile, has also asked the RCMP to investigate the matter, given the severity of allegations of inappropriate political interference in the prosecution of justice in this country. Five past provincial and federal attorneys general — four Conservative and one NDP — have called for a police probe of the matter, saying the intervention by PMO staffers and the clerk of the Privy Council may have been illegal under the Criminal Code.